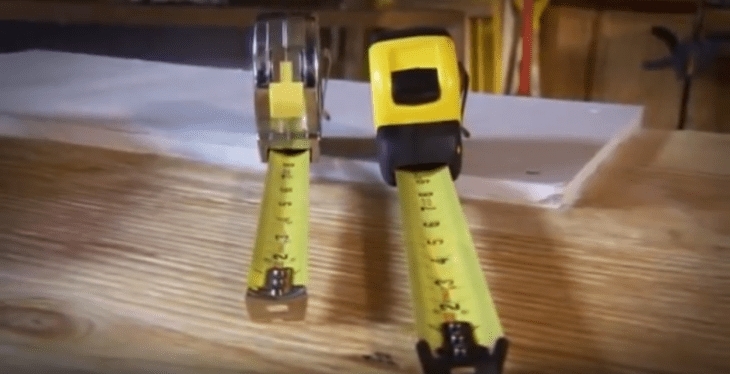 Best Tape Measure for Woodworkers Reviews: Top-5 in April 2019! Tape measures are a standard tool in every home and work location. They come in a variety of shapes, sizes, and materials. Tape measures are very basic tools that are designed for specific functionality. However, the basic application is to measure distance in metric or imperial measurements. In this article, I present to you five of the best tape measures for woodworkers, but actually five of the best tape measures for general purposes too. I include three conventional mechanical tapes and two digital ones. After all, we are in the digital age and entering the IoT age, so while I don’t present IoT tapes, maybe in the next review I will. 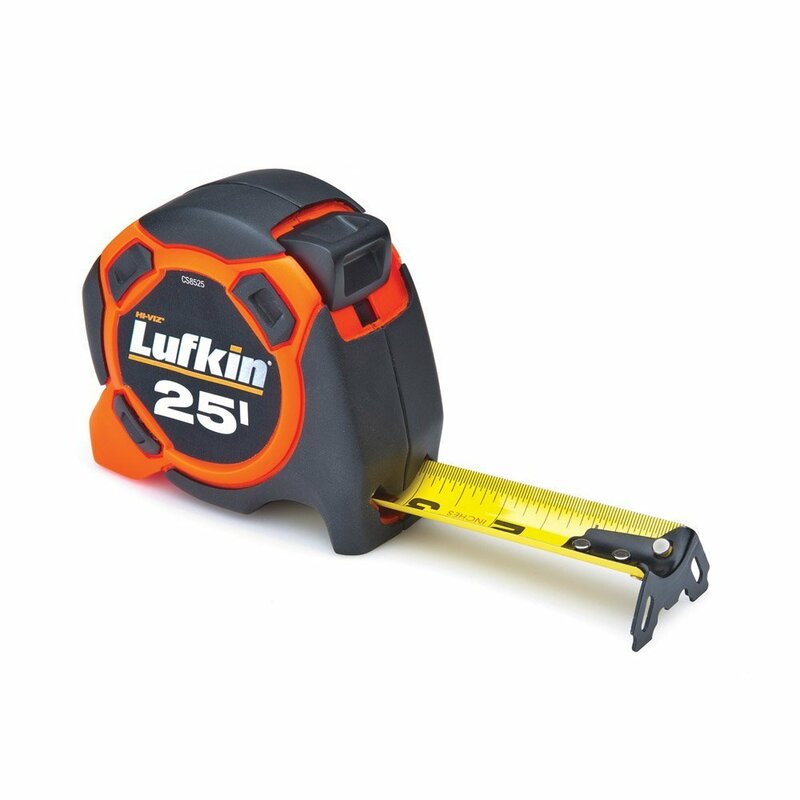 The Lufkin CS8525 is a classic mechanical tape measure with some fantastic design features. This is a 1-3/16″ x 25′ Cushion Grip Orange Case Yellow Clad Power Return Tape Measure. Where do I start? At the casement. 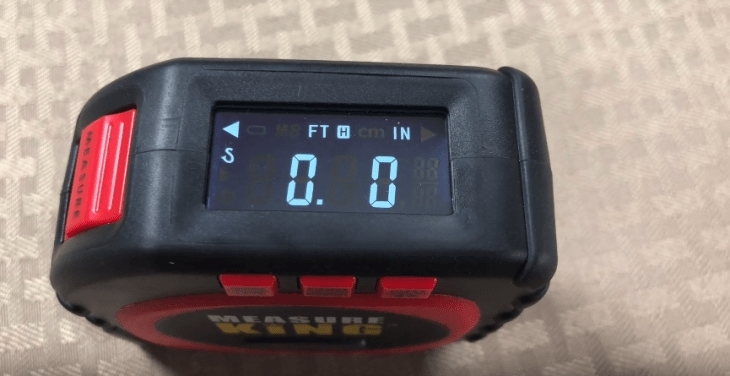 This is a nice neat mechanical tape measure that comes in a durable molded case allows for added grip and impact protection. The blade itself has a 10 feet standout and extends for 25 feet. The blade comes with a Clearcoat Blade Protection coating that provides longer life, less friction and clearer readings. The blade comes with a 4-rivet reinforced wide end hook that provides increased strength and better gripping performance. The retraction is smooth and lasts longer than most similarly priced models. When it comes to basic, nothing beats this model. You get a perfect combination of mechanical integrity with accuracy at a very friendly price. The Stanley 34-106 is a mechanical 100-foot-long 3/8″ wide steel blade for general use. Perhaps the most basic of models I have come across. 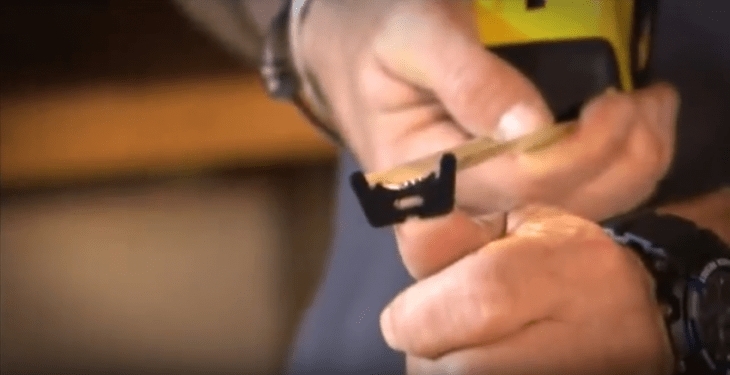 The Stanley is no-nonsense use it and abuses it heavy duty 3/8″ wide steel blade that is polymer-coated to withstand abrasion and last for longer and more durable life. The easy-wind drum provides easy retraction, and the blade comes with an ends hook for easier setting. This model comes with a belt clip for on the go mobility. You might think it doesn’t get simpler, but it does, and this is proof of simplicity. A device dedicated to giving one performance, measurement. The price is extremely low but does not reflect the quality of this product which is a must for any toolbox. 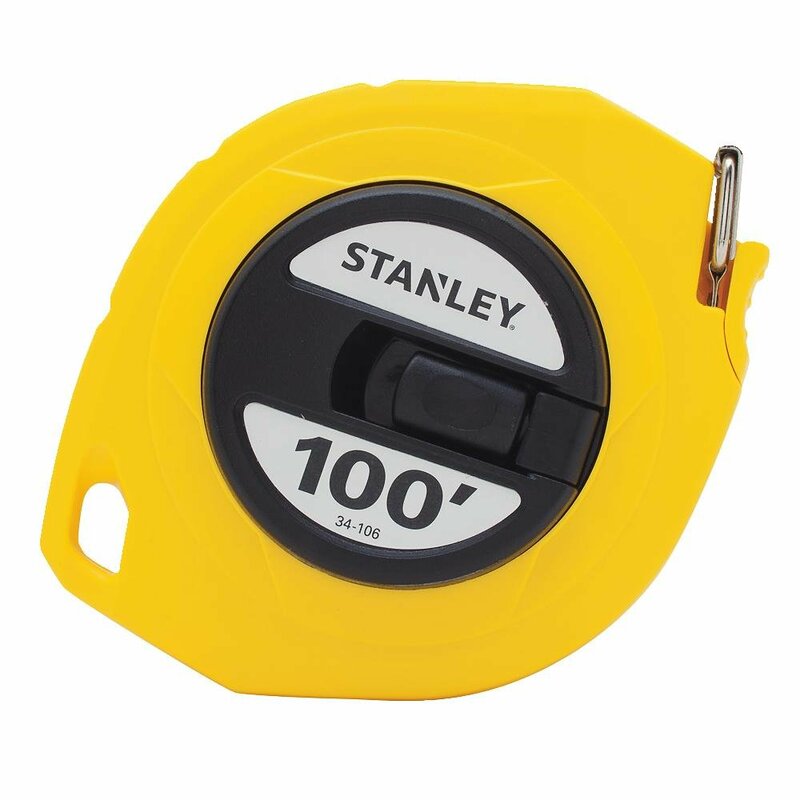 The STANLEY® FatMax® 25 ft Tape Measure is an industrial grade tape measure for heavy duty use in all conditions. If you think tape measures are only simple objects, then think again. They actually have to be accurate, withstand constant coiling and uncoiling and be ready to perform in any condition or environment. 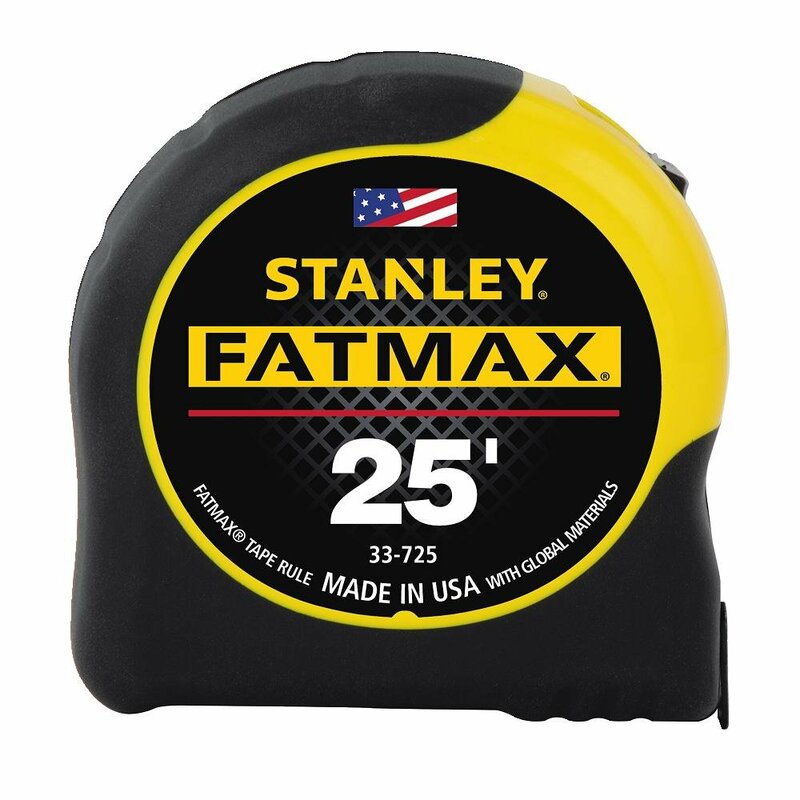 This is why the STANLEY® FatMax® 25 ft Tape Measure comes with their BladeArmor® coating that covers the first 3″ of eth blade and is sealed in a high-impact ABS case. So, what does this feat of engineering give you? It provides you with a 1-1/4″ wide blade for easy readability and an 11′ blade standout. The blade is covered by their BladeArmor® coating on the first 3″ and a Mylar® polyester film over the entire blade. The case is made of a high-impact ABS case with durable rubber-holds, and there is a top-forward blade lock for extra securing while measuring. There is a rubberized cushion grip that provides a comfortable and slip-resistant hold. The blade hook is a three-rivet, corrosion-resistant Tru-Zero® end hook, so you get an accurate measurement every time. The markings a are 16″ and 19.2″ stud center markings. For a couple of extra dollars, and I mean only a couple, you get an exceptional upgrade to a standard tape measure. This one provides you with extra durability, protection, and reliability for the on-the-go contractor. This is the one that professionals use. Welcome to the digital era of tape measures. 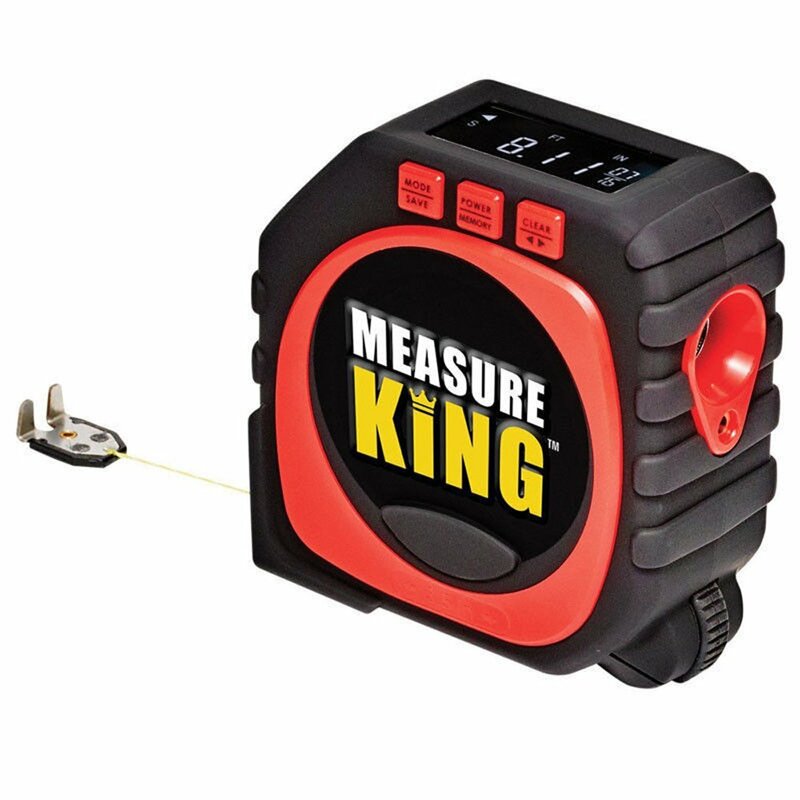 This is the General Tools 3-in-1 Laser Tape Measure that uses laser technology to measure distances of up to 25 feet accurately. Unlike a mechanical tape measure this one is digital, so you don’t get a blade, you get a line, and you need batteries to operate it. On the downside you need batteries, on the upside, this is so accurate, you can measure any distance to extreme accuracy, and you can even do it in the dark. 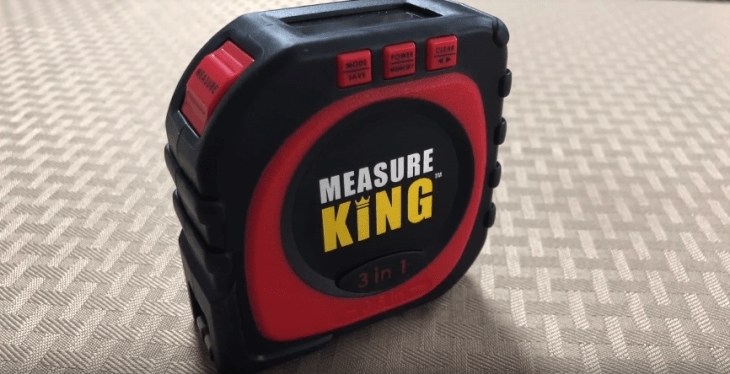 This is a 24/7 measuring tool, with an LCD digital readout and a sonic laser, strong and roller option, that provides woodworkers specifically with an accurate all-around tool for measuring even the most awkward items of furniture. The laser mode is for measuring straight distance using the sonic laser for accurate readings. You can back this up with a line mode, you pull the line, and the digital readout gives you the exact reading. Then there is the built-in roller that provides radii readouts too. This model actually speeds up measuring by 10 times and gives you an easy to read digital readout that is perfect for those dark recessed areas as well as the well-lit rooms. The line mode comes with a blade and measures up to 16 feet. You need 2 AAA batteries, to operate this, and it looks just like a standard mechanical model, but with a digital readout. The accuracy of the laser is in ¼” increments. Minimum laser reading is 10 inches. Battery life is up to 3,000 measurements. While the price is not overly high, the difference between this model and a standard model is around 2 and a half to three times the cost. I am all for digital, but in tape measures, why do I need to pay more for a measure that costs more to operate and ends up giving me the same results? Some furniture repairers that I know swear by this model for its 3 in one ability and claim it to be exceptional. I bow to their expertise, after all, which mechanical tape measure will accurately measure a fluffy irregular shaped armchair? The answer is, only this one. 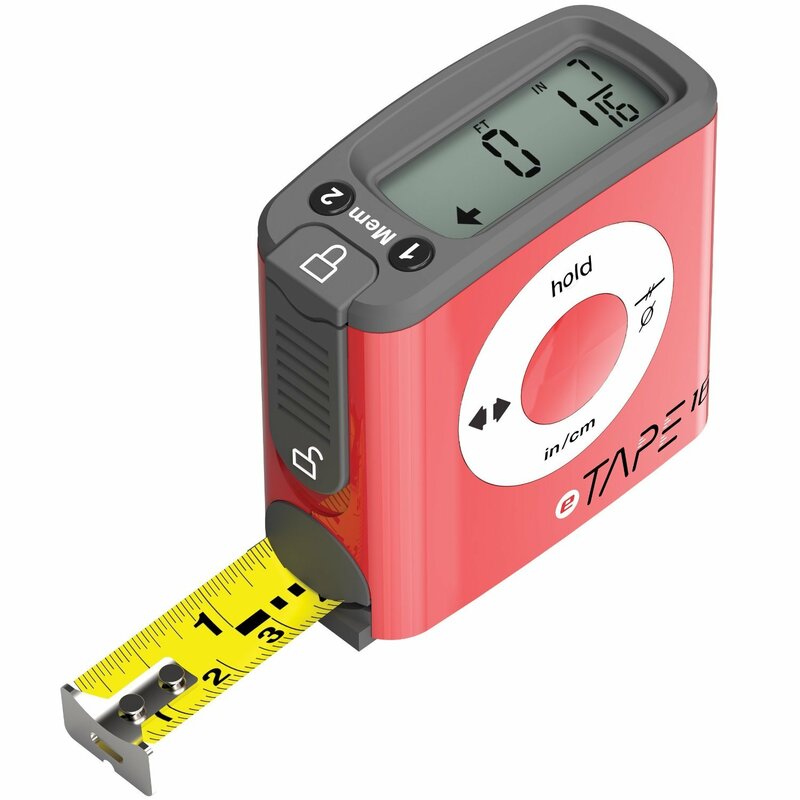 The eTape16 Digital Tape Measure is another digital mode, and this one comes with even more features than the General Tools model, and at the same price. This model gives in accuracy what the General Tools model gives in functionality. So, if you could combine the two, you would get a perfect model. However, the case in question is a reliable digital tape measure that gives you a standard blade and a digital readout with a 1/10” accuracy. You also get memory functions, and it converts between imperial to metric and back. What is nice about this model is that it uses the standard tape and reads the distance arcuately based on the blade. To be honest, this is a bit of a nudge-wink model, where you get the old school meeting the modern world, but letting you hold onto the old world at the same time. You get to pull the blade as usual and can read it too, just like a mechanical model, but in this case, you also get an accurate digital readout too. This model comes with a blade lock button, which also acts as a digital lock too. You get dual memory capabilities, so there is M1 in Red and M2, also in Red for two memory measurements. You can convert units for different requirements, and get fractions as well. 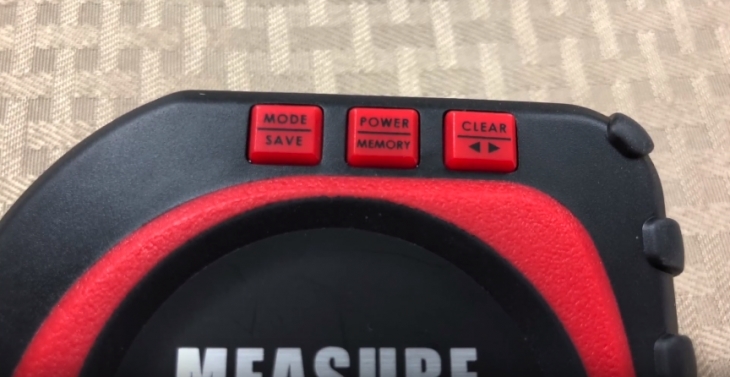 What is interesting is the inside/outside measurement, where you press a button to get a neat blade reading, or press the button again and get the additional 3” of measure body added to the overall distance. Since its digital, you get an accurate middle line reading, and as long as you continue to measure, the midline reading will adjust automatically. The unit turns one the moment you pull the blade out and will turn off automatically after 5 minutes when not in use. You can rezero the measurements by pushing the button until the digital readout states zero. Then you can measure the next, and it will enable you to perform incremental measurements without closing and to open the tape all the time. The Battery is a CR2032 Lithium cell. When it comes to great devices, this is one of them. Although, as you already know, I think a tape measure that goes digital should already connect to a smartphone and be fully IoT. This is a great tool for engineers seeking a more versatile readout. However, is it worth the extra cost and maintenance, expenditure (battery) that is up to you. Length, material type (to be measured), accuracy, environment. This is all about direct application requirements, how long are the distanced you need to measure. Don’t buy a measure that is way too long or one that is too short. Buy one that is either to distance or about 10% over. If you don’t have a specific distance range, go for longer than shorter. Accuracy is based on the anchor as well as the increments. Make sure the anchor is well set and that the increments are fine. Don’t bother with a micron level increment for woodwork, 1/16” of an inch is more than enough for carpentry requirements. Anything over is looking at metal work. Consider your knowledge of measurements, it doesn’t really matter which one you have, but its best to buy one that has both measurements on the tape. This is the most commonly used material; its drawback is when it comes in a cheap package it rusts and degrades very quickly. That is why the better models come with a more resistant alloy and have different coatings protecting the base metal from moisture. These are the more expensive models that are used for wet environments. These are the long tape materials, and their high tensile strength delivers where metal seems to fail. This is not rigid fiberglass, but a fabric type material designed to be heat and abrasion resistant. The body of the tape is extremely important, but today even the cheapest models come in rugged plastic casings. Generally, I don’t put much value into cases unless you are buying a waterproof, or digital model that requires a more versatile material combination. Some will claim that this is the most important part of the tape, I disagree, to me the most important part is the actual wind/rewind mechanism that has to provide constant mechanical performance over time. This is a basic calculation, the wider the blade, the bigger the markings, the easier to read. This is a vital and integral part of the performance of a measure. It needs to be capable of working for a long time with much use. In other words, the simpler the device, the more likely the locking mechanism will fail faster. Don’t get frustrated, check the locking mechanism in your device before buying it. The hook is not just an anchor; it is the base from which you measure and the more accurate reading requires a more integrated and rugged hook. This is for metal blades only; it stands for the distance the blade can be extended before it bends. Obviously the longer the standout, the more reliable the metal quality and construction.